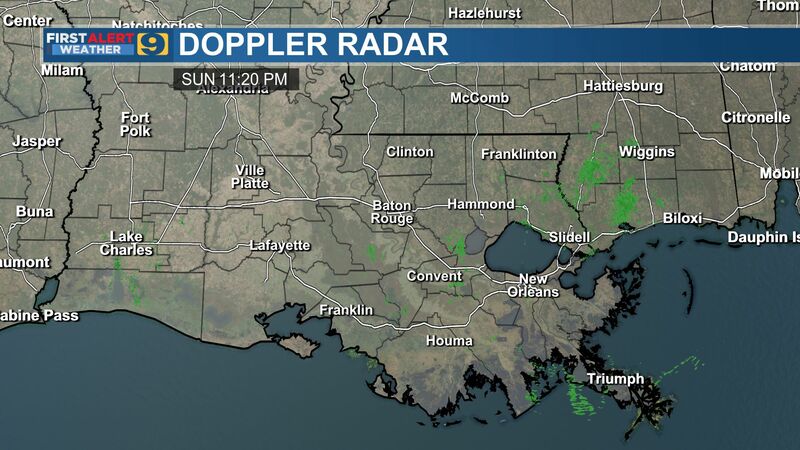 BATON ROUGE, La. – With the drama surrounding selection officially over, the No. 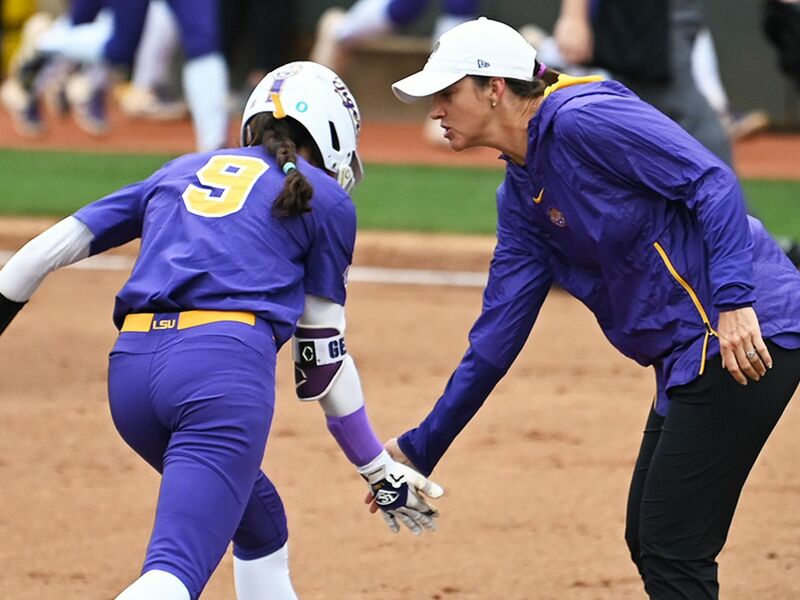 23 LSU softball team will make its 16th NCAA Regional appearance this weekend, heading west to Tucson with an opening-game matchup against the American Athletic Conference tournament champion Louisville Cardinals at 7 p.m. at Hillenbrand Memorial Stadium Friday. The double-elimination tournament begins on Friday in Arizona, with every game of the regional being shown on ESPN and the WatchESPN app, with radio coverage on the home of LSU softball on ESPN 104.5 and 104.9 and in the Geaux Zone for subscribers with Patrick Wright and Matt Dunaway. The Tigers will head into the four-team regional round this weekend with aspirations of making it to the Super Regional portion of the postseason next week for the first time since the team's dramatic run to the Women's College World Series in 2012, while also forgetting last year's effort that had the team ousted at home in Tiger Park. The team will have its work cut out for it beginning with a tough Cardinals squad, before moving on to face the national No. 11 seeded host Arizona Wildcats or Boston University Terriers at some point during the weekend. "Every game from here on out is the most important game on the schedule," head softball coach Beth Torina said. "Louisville is a quality program, and they will give us a ballgame. They are not somebody we're going to be able to look past, or assume anything, because they are very talented." Luckily for the Tigers, the team was able to get a little bit of that do-or-die feel last weekend as one of the 10 teams that qualified for the SEC Tournament, bolstering its way through the quarters and into the semifinals for the first time since the 2010 season with a 6-0 win over Missouri last Thursday, before suffering a gut-wrenching 4-3 loss to Kentucky the next day in nine innings after battling back to tie in the bottom of the seventh. With that solid showing at the conference tournament last week, LSU moved up two spots to No. 23 in the NFCA/USA Today coaches poll, while staying put in the exact same place in the ESPN/USA Softball rankings heading into the postseason. The Tigers reclaimed the top spot in strength of schedule in the nation even with just two games played, while moving up one spot to 19th in the final RPI release of the season on Monday after the selections were announced. 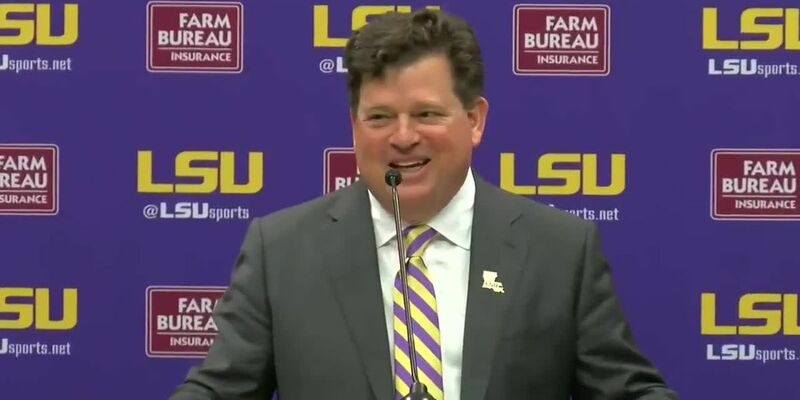 Getting to this point, LSU has needed to rejuvenate its play after struggling through March, doing so by going 16-7 since the start of April, winning eight of its last 10 games and 11 of the last 15 overall, including going 12-5 against SEC opponents. 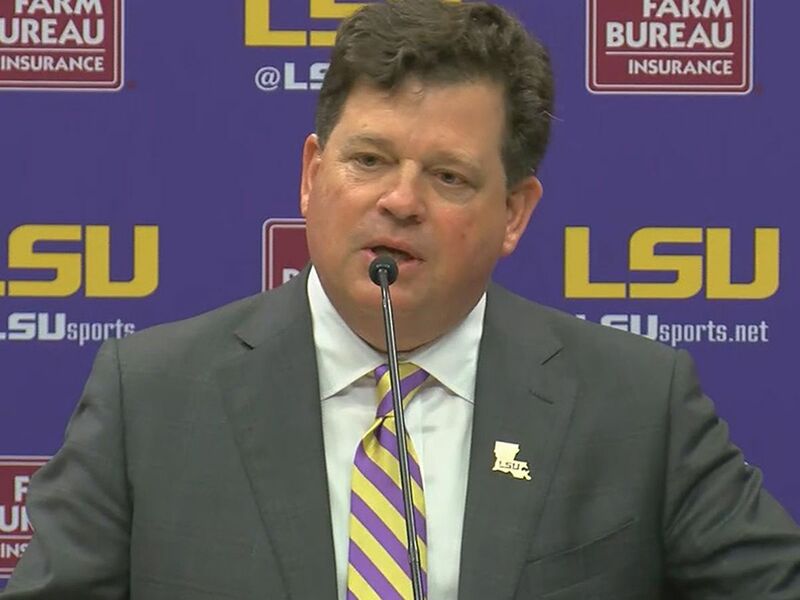 That turnaround has been due in part to the team's prowess at the plate, where during the stretch LSU has outscored its opponents 153-85 with a .312 batting average, while Tiger pitching is holding the opposition to a batting average of .236 with 128 combined strikeouts. 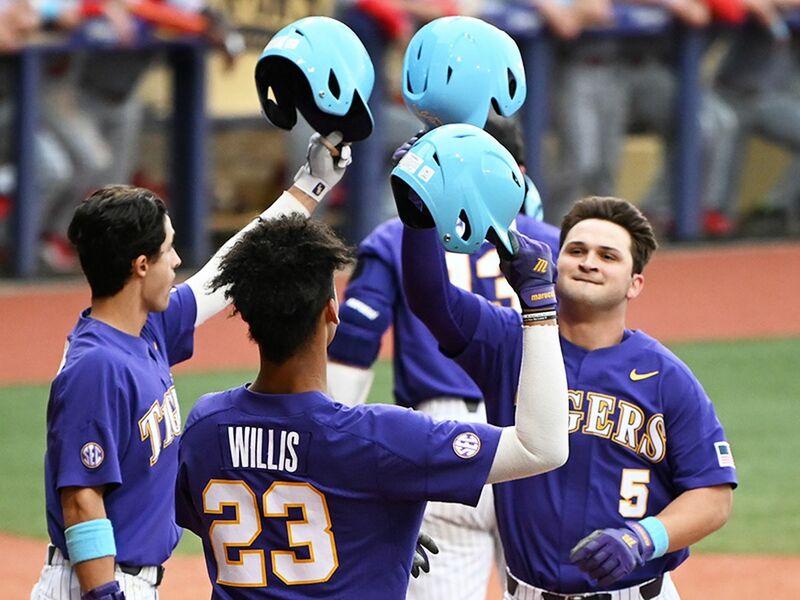 With seven of nine starters for the Tigers hitting above .300, LSU has proven to be a tough team to keep down long, even in a loss as the Wildcats found out when the team came back to tie it up late and got some of the biggest hits from unexpected spots in the lineup. Helping end a three-year drought of not having a player selected to the all-tournament team, Bailey Landry was named to the squad after hitting .429 in the tournament, going 3-for-7 with two RBI and a run scored. In the opening game against Missouri, Landry hit her first home run of the season and in the second game against Kentucky had the game-tying RBI single. Her overall batting average was tied for ninth-best, while her .857 slugging percentage was tenth. A.J. Andrews hit her team-leading sixth triple of the season against Kentucky, one of only two players to hit one in the entire tournament. Andrews is sixth in the nation in triples this season and leads LSU with a .339 batting average, currently riding a nine-game hitting streak. Sahvanna Jaquish hit .500 in the tournament which was tied for sixth, going 2-for-4 with a double, two RBI, two runs scored and three walks. She had a slugging percentage and on-base percentage of .750 which was 12th and second, respectively. Sandra Simmons earned her 14th multi-hit game of the season against Missouri, going 2-for-4 with an RBI and run scored, while Bianka Bell had two hits during the tournament, including hitting her 11th double of the season as she has 23 total extra-base hits. Bell has reached base in 19 consecutive games which is the longest for any member of the team this season, and is also on a six-game hitting streak. Baylee Corbello will head into the regional with the most wins on the pitching staff, as she's won five of her last six starts in the circle with a 17-8 mark, with freshman-record 21 complete games, 176 innings pitched and 175 strikeouts in an outstanding debut season. Looking to end her senior season on a strong finish, third base stalwart Tammy Wray is hitting .410 since April, the best on the team, while slugging .607 with 25 hits, 14 RBI and 16 runs scored. Wray hit her third home run of the season in the bottom of the ninth against Kentucky and is hitting .301 on the year. Louisville put an end to a third-place regular season finish with a flourish, taking the final five games it needed, including three in their conference tournament, to earn an automatic spot in the NCAA Regional, as the Cardinals are hitting .301 as a team with a 2.88 team earned run average. 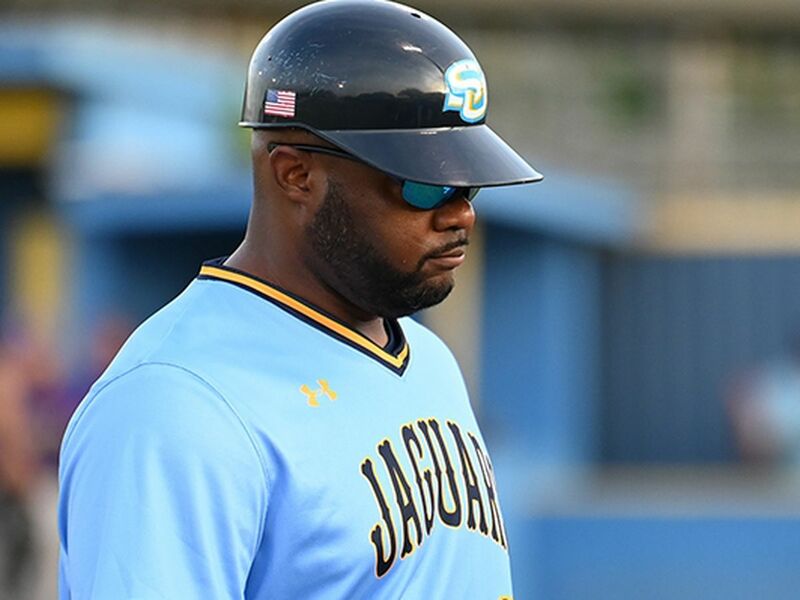 The host Wildcats will be team similar to the SEC foes the Tigers are used to facing on a weekly basis, except in the fact that offensively they are hitting .353 with 100 home runs and 414 runs scored for a team that finished fourth in the Pac-12. The unfortunate team that will have to go up against the Wildcats in the nightcap might prove to be up to the challenge in the Terriers who claimed the Patriot League tournament title and won 13 games in a row at one point in the season. LSU is just a season removed from playing both Louisville and Arizona, defeating the Wildcats 3-0 at the Mary Nutter Collegiate Classic and losing to the Cardinals 6-2 at the Diamond 9 Citrus Classic. This is will only be the third meeting against the Cardinals in team history after splitting the other two contests, while Arizona holds an 8-2 advantage in all-time meetings. If possible, LSU will take on the Terriers for the first meeting in program history.